Skilled privacy pros are in high demand and IAPP certification is what employers want. 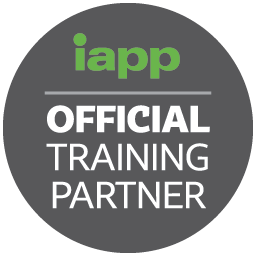 When you earn an IAPP credential, you earn the right to be recognized as part of an elite group of knowledgeable, capable and dedicated privacy professionals. As an IAPP authorized training partner, Learning Tree is with you every step of the way with IAPP certification exam prep training for the CIPP, CIPM, and CIPT certification programs. Training staff now can reduce the risk of a data breach.Education plays a critical role in preventing privacy incidents. Training your team improves decision-making among employees who handle data and makes privacy protection a shared objective. Improve the compliance of the entire organization.Privacy training establishes a common vocabulary and an aligned approach across business, legal and IT departments. Training can make your organization more intelligent and cost-effective.Within every organization there is a need to understand privacy requirements in technology. With IAPP training, you can apply privacy concepts and practices early in product development and engineering efforts, rather than making costly fixes later. Baking privacy in early can make your organization more intelligent and cost-effective.If and when a breach happens, having privacy trained staff demonstrates your organization’s commitment to customers, partners, regulators and staff. You’ll demonstrate accountability and due diligence.The knowledge gained ensures that staff know how to identify privacy issues and when to elevate questions to privacy and IT leaders.